Another old photo from a negative. 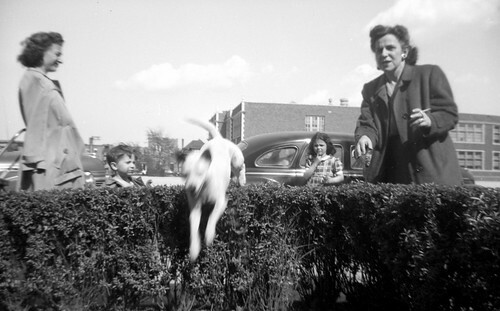 I love this shot of the dog leaping over a hedge. This was probably taken in Chicago in the early 40s.